B-code is a research and design project with the goal of learning more about the biology of comb-building. Hives are placed in a controlled lab environment, encased in a fully clear, full-sized observation hive and monitored continuously with no adverse effects to the bees. This research will not only be of use for the beekeeping and biological sciences, but will serve to inspire better building and design technologies in other fields. Bees are the world's first 3D printers. They work in a material made from their own bodies, formed at body temperature, with a material that is safe to eat and is biodegradable and even recyclable. This technology is far advanced compared to human methods of making our homes, and we have a lot to learn. Beekeeping is a practice that spans centuries, but scientific advancements from the past two have made beekeeping what it is today. It is an evolving science. With the up to date research forming the proper protocols, we can ensure that only the best beekeeping methods are employed. Here, Jennifer examines wing lengths of randomly sampled bees to test for the killer bee phenotype, with negative results. Successful beekeeping is becoming increasingly difficult each year as disease, pesticides, and climate change cause losses collectively known as Colony Collapse Disorder. Starting colonies with queens selected from locally adapted, varroa mite resistant stock gets us one step closer to our goal of better bees without the use of toxic chemicals and antibiotics. Here Jennifer is grafting eggs into special queen cups to raise her own queens. As a responsible beekeeper in a community of other beekeepers and feral hives alike, it's important to monitor and treat colonies that show signs of trouble to prevent problems from spreading. IPM practices follow the simple rule of treat only as needed with the minimal amount of toxicity. Jennifer uses only physical and organic treatments in her hives, then requeens with better genetics. Here she tests bee samples for Zombee parasite and finds it. 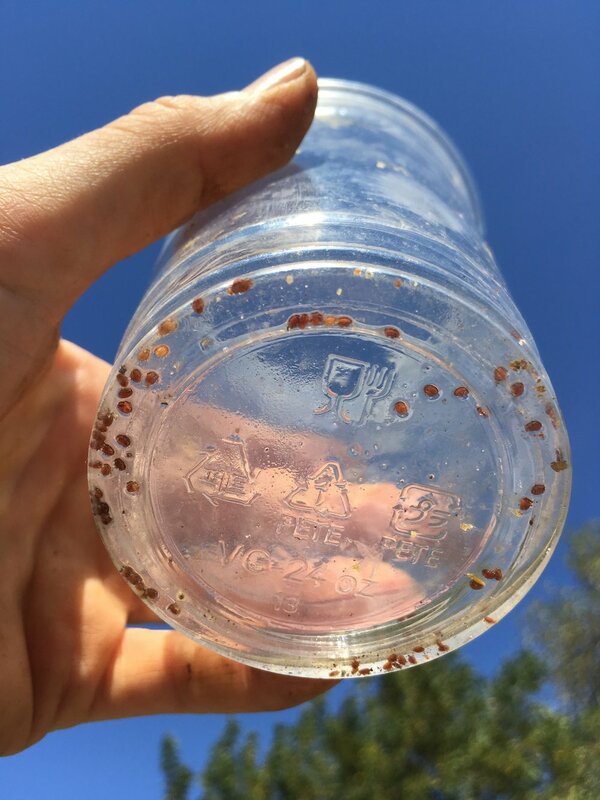 Varroa mites and their associated pathogens are responsible for the majority of problems a hive can have, especially during stressful times of the season, like winter and during our summer dearth. Jennifer monitors during key times of the year and treats for mites using organic soft treatments such as requeening, formic acid, oxalic acid, and thymol. Jennifer is among many breeders in Northern California who dream of bees that are naturally resistant or tolerant of mites. Until that day, she knows that as a beekeeper it is her duty to ensure that her bees live happy and healthy lives, and that includes proper mite control. Here Jennifer tests mites in a hive using an alcohol wash.